I always loved dogs and planned to work with them from an early age. In fact, when I was 11, I began my own dog walking and pet sitting business in the neighborhood where we lived. When I was 13, I took my Yorkshire Terrier, Brandy through an AKC obedience club training class, we had fun and worked together and were awarded the ranking of second place in that group class. After that I was hooked on dog training! It helped that he was Super Smart and loved to play learning games! Since then I have helped friends, family and clients work with and train their dogs to be better family companions. I worked at Petsmart as a trainer for 3 years, during my time there it became obvious that my community had a need outside of that setting, it was then that I founded A+ Dog Obedience School. Since then, I have helped with the SPCA and other rescue groups both with fostering and training the dogs in their programs. 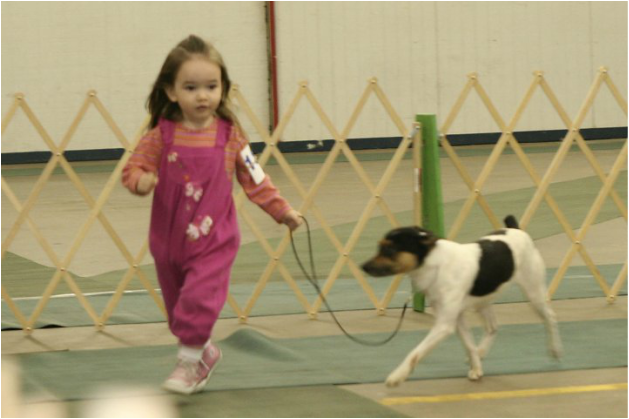 I showed my Rat Terrier Justin, together we earned his UKC Championship. I am a strong supporter and advocate of scientifically based non-aversive, positive reinforcement training techniques. I am an AKC approved Canine Good Citizen (CGC) evaluator and a proud member of the Pet Professional Guild. I love working with people to help their dogs learn to be the best companions possible.